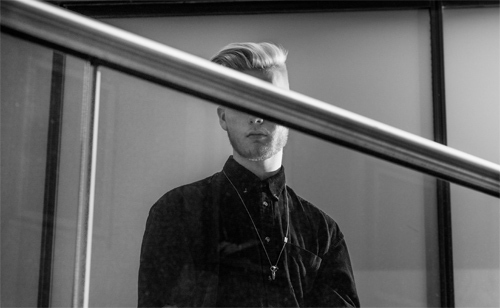 There's such a surfeit of gleeful invention in Mura Masa's new single that it's hard not to smile. Premiered as Annie Mac's Hottest Record last night, What If I Go, it wrong-foots you at every turn. It starts off with an old-skool analogue drum loop, which segues into a steel-drum loop and Bonzai's soulful, fluttering vocals. Four footstomps count in the chorus, á la The Supremes Baby Love, then everything goes slightly wonky. It's smashing and, what's more, it holds together as a coherent song. Discussing the track on Radio 1, Mura Masa (aka Alex Crossan) said the song was originally written on a train a year ago, then polished off at home after he and Bonzai came back from a skiing holiday (lucky for some, etc, etc). He called it "the next development" in his sound, adding: "It's not necessarily about trying to make pop music, but I do want to bring more of an accessibility to weird electronica." The musician said work was continuing on his debut album - "I’m trying my hardest to make it really good" - which is shaping up for release at the end of the summer.